These black wool felt boots are in excellent condition and date back to the 1940s, worn by WWII Air Force Pilots. 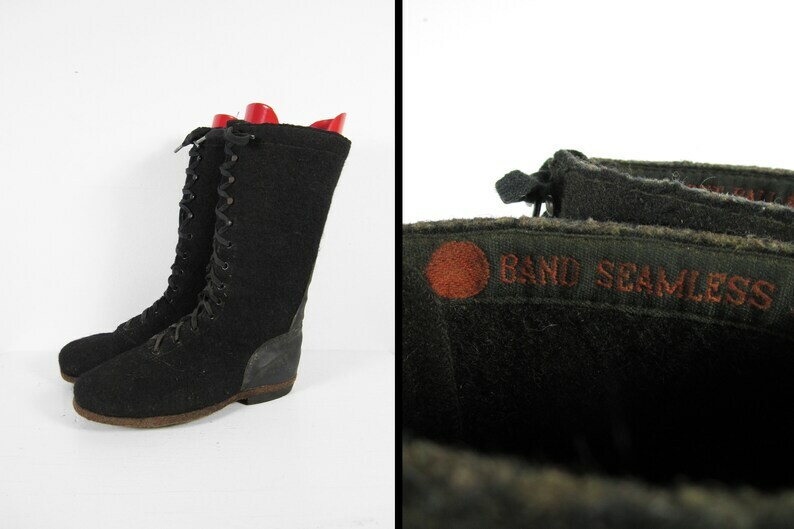 Made by Ball-Band, they feature a thick and dense wool felt, tall lace up shaft, and rubber heel with rugged felt soles. Perfect for the winter weather. These boots fit roughly like a men's size 8 but please compare the measurements below to your favorite boots to ensure a proper fit.